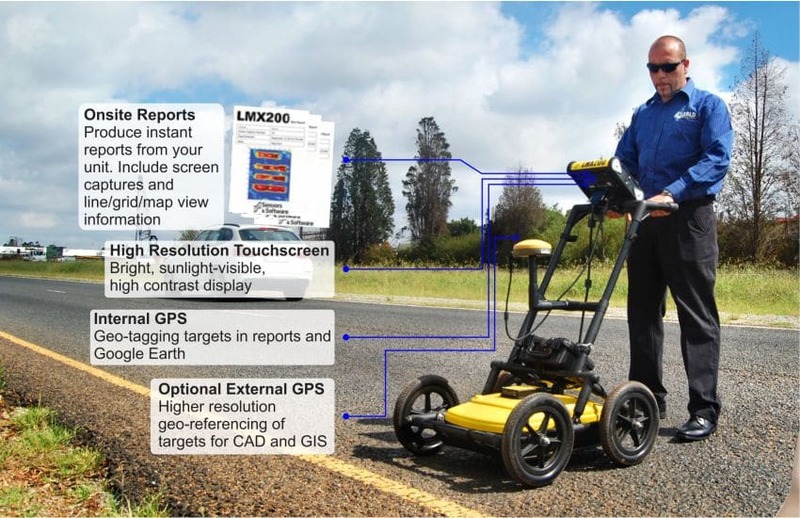 The LMX200 Ground Penetrating Radar, the premier utility location tool in the market today! 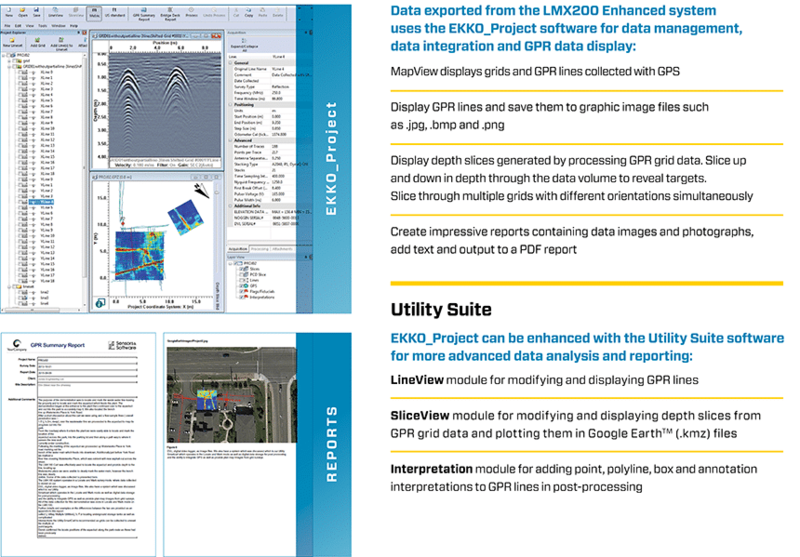 Expand Your Locating Capabilities. 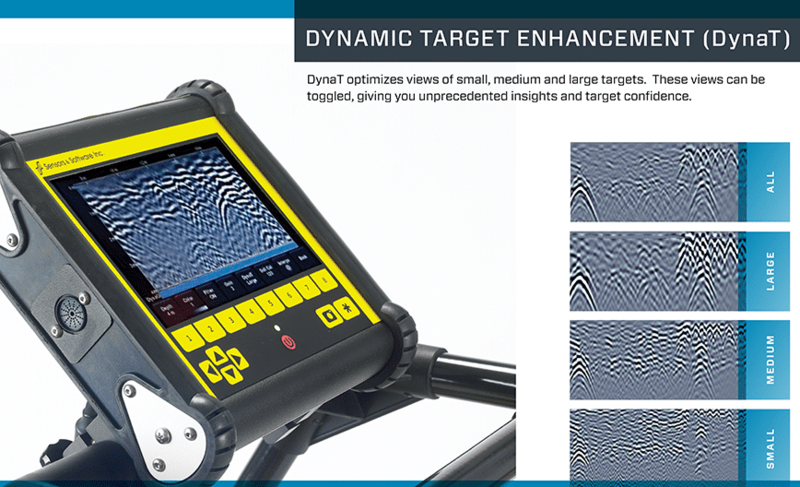 The new and breakthrough Dynamic target enhancement technology, DynaT, acts like 3 GPR’s in one and optimizes views of small, medium and large targets. 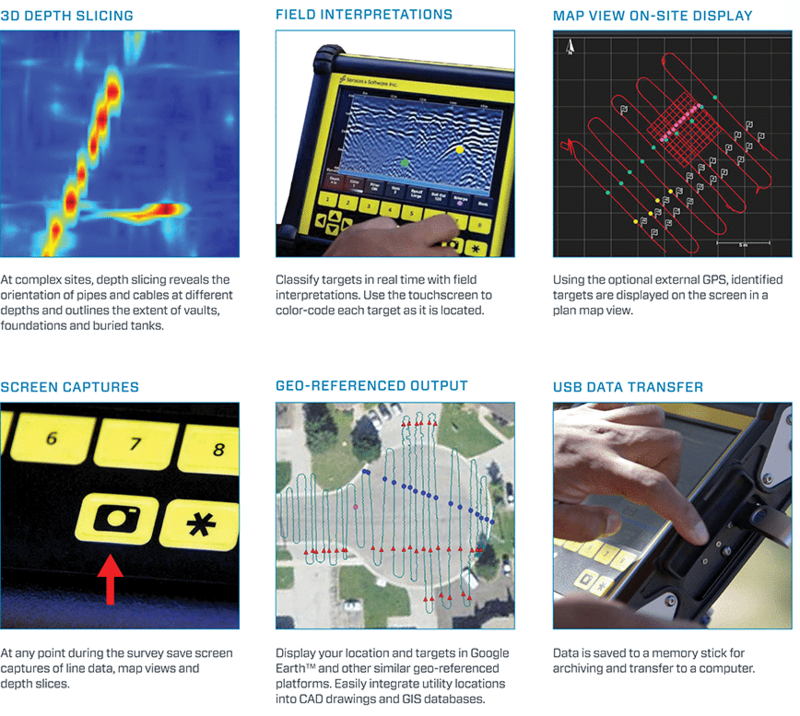 Detect both shallow and deep targets simultaneously. Locate plastic, asbestos , concrete pipes and structures.